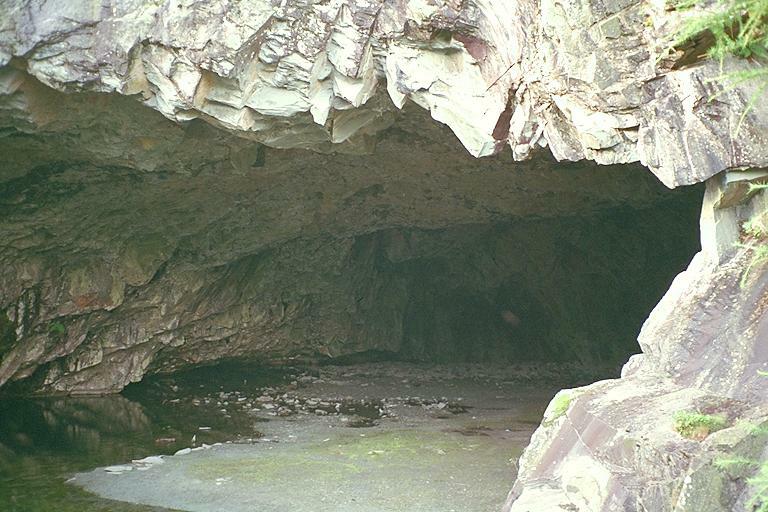 This is the biggest of the caves and has been reopened after recent work to make it safe. There is still a warning notice to avoid a certain area. From my viewpoint here the water in the pool looked sludgy and continues to do so close up: the fish do seem to have survived, though. Smaller version of this picture.